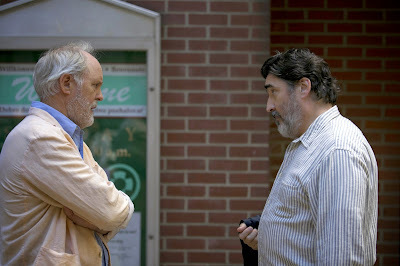 The two well-known stars of Love is Strange, John Lithgow and Alfred Molina, play Ben and George. Together for 40 years, they finally decide to get married. 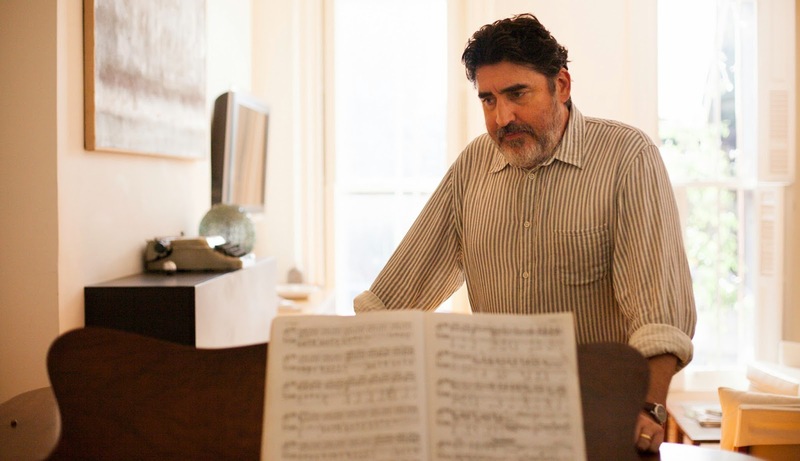 But upon their return from their honeymoon, George is fired from his job teaching piano at a Catholic school. 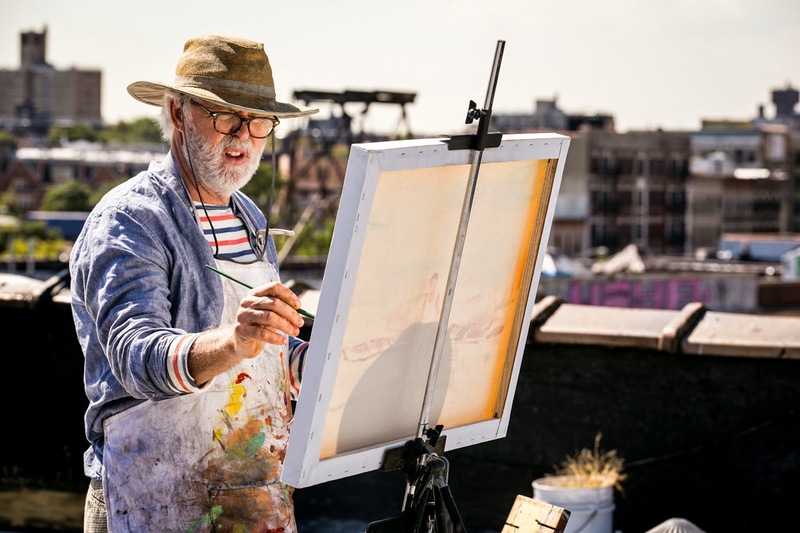 Ben's pension isn't sufficient to sustain the couple's comfortable lifestyle in Chelsea. They must soon sell their apartment and move in with friends... separately, because no one has enough room for both of them (save for a niece in far off Poughkeepsie, which might as well be a whole world away). Love Is Strange is the first mainstream film in some time to treat a homosexual couple with the kind of respect one would expect they'd be treated with in contemporary, metropolitan society. Save for the still very real reaction from the Catholic Archdiocese that serves as the movie's inciting incident, no one in the film castigates its lead characters for their sexual orientation or their decision to get married. Even the priest that must deliver the bad news to George is visibly uncomfortable and reluctant to let him go because, as George points out, he has been out the entire time he has worked there and had parents, students, and staff over to the apartment he shares with Ben. George moves in with another gay couple, both NYPD, and Ben moves in with his nephew's family. Each must contend with their own set of problems, but none of them stem from Ben and George being gay. Instead, the problems are very specific to each man's new living arrangements. George's is touched upon more briefly. He is a middle-aged man moving in with two men who are still young enough to enjoy noisy parties and get-togethers that not only seem frequent and never-ending, but leave little room for George's privacy. Ben's is the reverse, suffering the indignity of sharing a bunk bed with his grand-nephew Joey (Charlie Tahan), while being made to feel like an interloper by the boy's mother, Kate (Marisa Tomei). 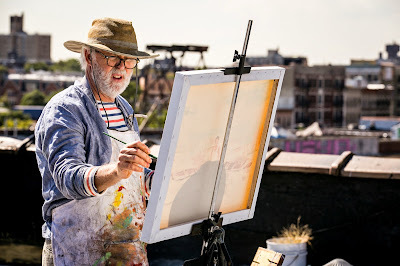 For Ben, a painter, even time spent on the building's rooftop ends up being the cause of family strife because he chooses to enlist a friend of jealous Joey as his model. Kate is quick to point out how disruptive Ben is being. But it's evident that the entire family's inability to communicate existed long before he moved into an apartment which made it so easy for them to compartmentalize their specific familial dysfunctions. 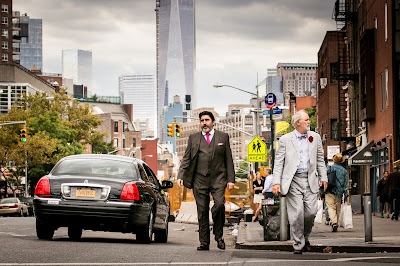 Love Is Strange benefits from being an innately New York story, with its stratospheric real estate costs, rent-control deus ex machinas, and bohemian-flavored careers that tie each man inextricably to the city. It grounds this uniquely gay story of longtime lovers—who only fall into the star-crossed category once they marry—in a sort of logistical reality. This is how director and co-writer Ira Sachs makes Love Is Strange's romance feel so universal. The situations in the movie could only happen to these specific men, but the feelings that arise as a result are ones we can all identify with. It's this seeming contradiction that makes Love Is Strange such an ironic title.